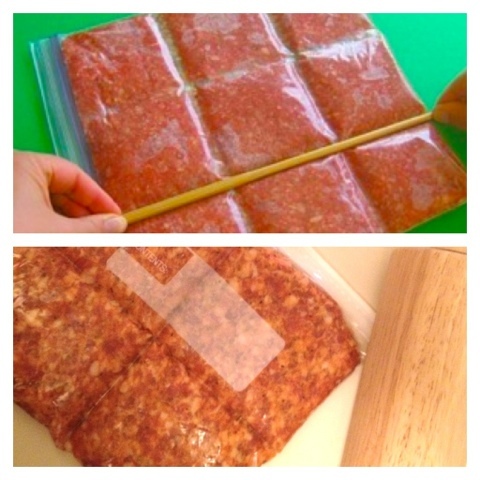 I saw this on Pinterest the other day and has to try it! So when I bought a bunch of sausage and hamburger meat this week, so I had the perfect opportunity! Top photo is Pinterest, bottom photo is mine! It was so easy! And I can buy large quantities which saves money. =D Double win! 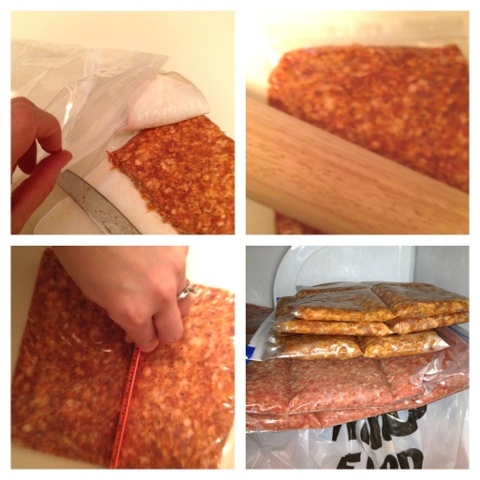 While I am at it, I thought I'd share another money saving/meat storing trick with you. A week ago (or so), I bought a whole cooked ham, bone on. It was a fraction of the cost of the small boneless hams I normally buy. 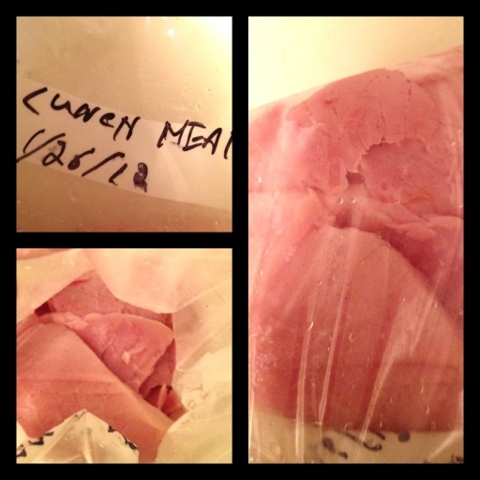 When I got home I spent about and hour slicing it into lunch meat cunning it for salads, and leaving large oddly shaped chunks (use is to be determined). I got three quart baggies of lunch meat, a quart baggie of cubed pieces, and still had the whole bone section with quite a lot of meat left on it! I froze all the meat and can pull it out to eat in small chunks! Well, hope some of you found this helpful! Have a blessed day! More Sister's Crafting Day Fun!